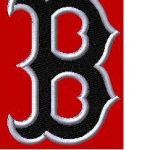 The baseball packer order meeting will take place on Wednesday, November 15 at 6:20pm in the BHS Cafeteria. All those players signed up to play this spring (grades 9-12) should attend as we will go over what is needed for the season among a few other things. The meeting should be over around 7:00pm. Baseball lifting and open gym schedule for tomorrow morning has now been canceled. It will continue on Thursday as scheduled. Coach Uggen has sent an email to all baseball players and parents he has contact info for. For those especially who did not attend the first meeting, please check your emails! Several have not picked up the info and lifting/open gym starts tomorrow morning!